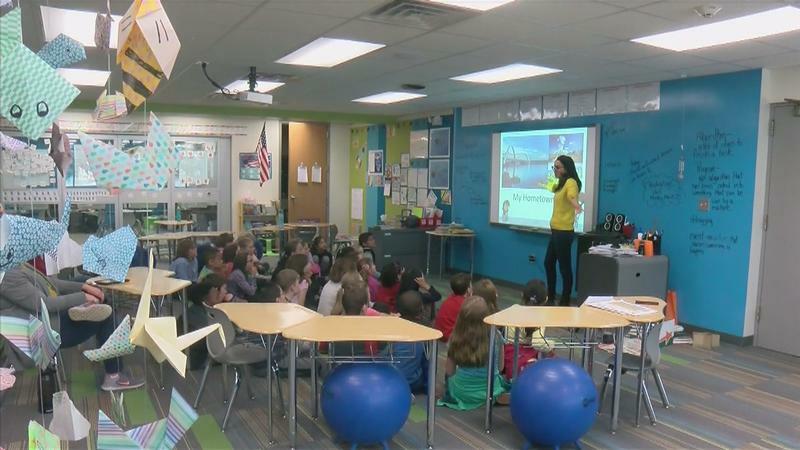 Austin elementary school students were reminded that we all live in a global village, thanks to Global Minnesota’s Classroom Connection international volunteers from Brazil, Ghana, India, and South Korea. During a day-long World Cultures day, 2nd, 3rd, and 4th-grade students at Southgate Elementary traveled the world as Mariana, Gabriel, Moinak, and Daehan shared their cultures and perspectives on other parts of the world. Classroom Connection and World Cultures Day in Austin was funded in part by support from Hormel Foods Corporation, a member organization of Global Minnesota.